TeTaniwha kennels is the daughter to Taniwha Kennels (based in Tauranga, New Zealand). 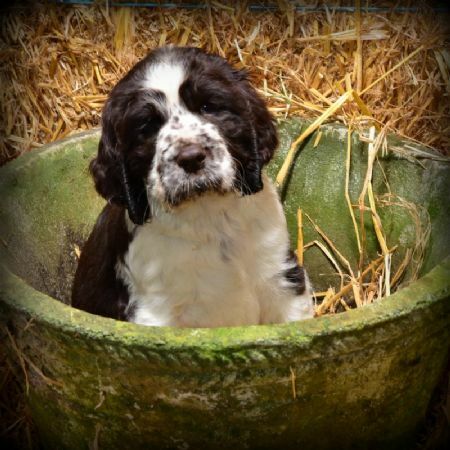 A boutique kennels with select breeding involving the finest English Springer Spaniels and Clumber Spaniels with Supreme, Grand and Champion parentage. We carry out DNA and hip score testing on our breeding team, along with making sure that the nature of each breeding dog is suitable to be bred from. This means that puppies from TeTaniwha Kennels are not only healthy but will make great pets. With James and Bronwyn Patchett (Taniwha Kennels) moving at the end of 2016 TeTaniwha Kennels will be able to offer more possibilities. We do not breed often, but when we do make the choice to breed you can be rest assured that the time, effort and research that has gone into selecting the right breeding will ensure that each puppy will the the light of your heart. We like to make sure our puppies go into the best forever homes, so please understand that we do have a high vetting standarded.